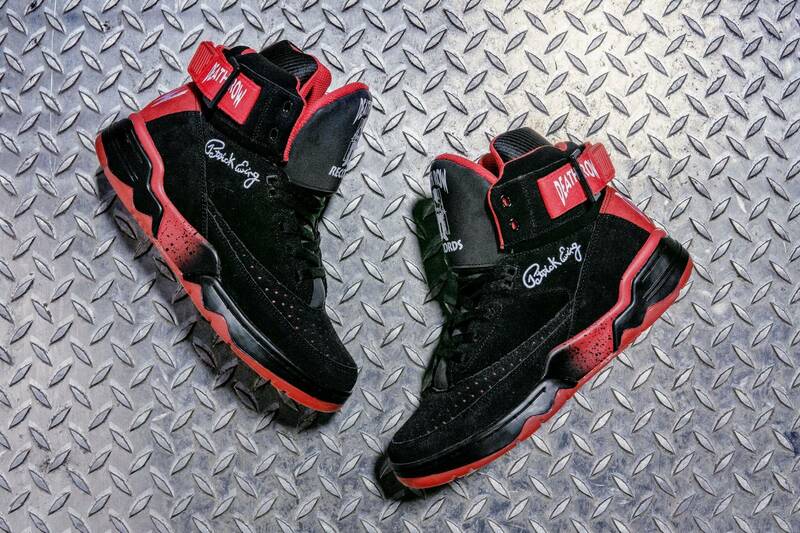 Death Row x Ewing 33 Hi now available for $140. 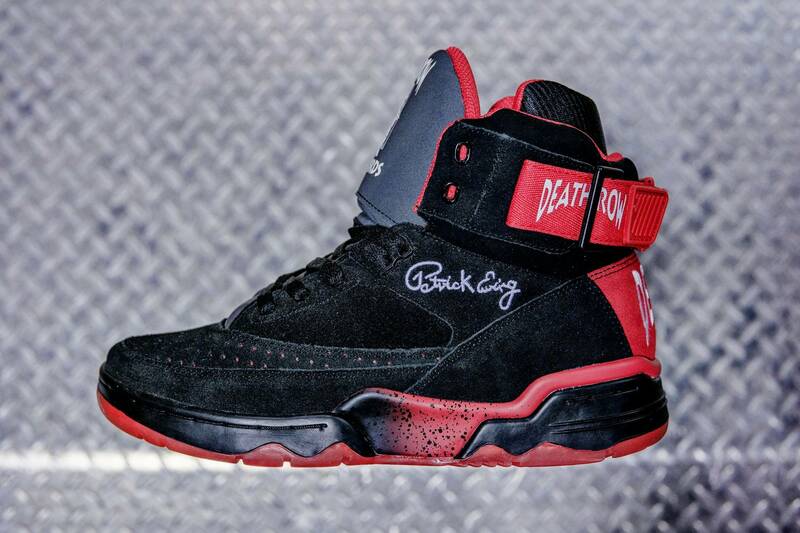 Ewing Athletics has today released their Death Row Records sneaker collaboration, which takes shape in the form of a black and red Ewing 33 Hi. 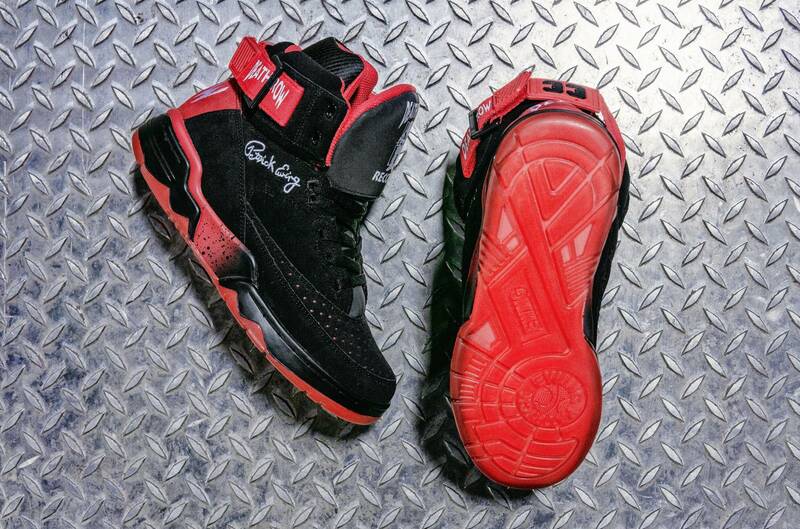 The limited edition kicks, priced at $140, are now available in sizes 5-16 via EwingAthletics.com. "Death Row Records was originally formed in 1991, the same era under which Patrick was a dominant force within the NBA and lead the Knicks to the playoffs. We join forces with @deathrowrecords to release a limited 33 HI to pay tribute to one of the most distinguished and influential labels in history." 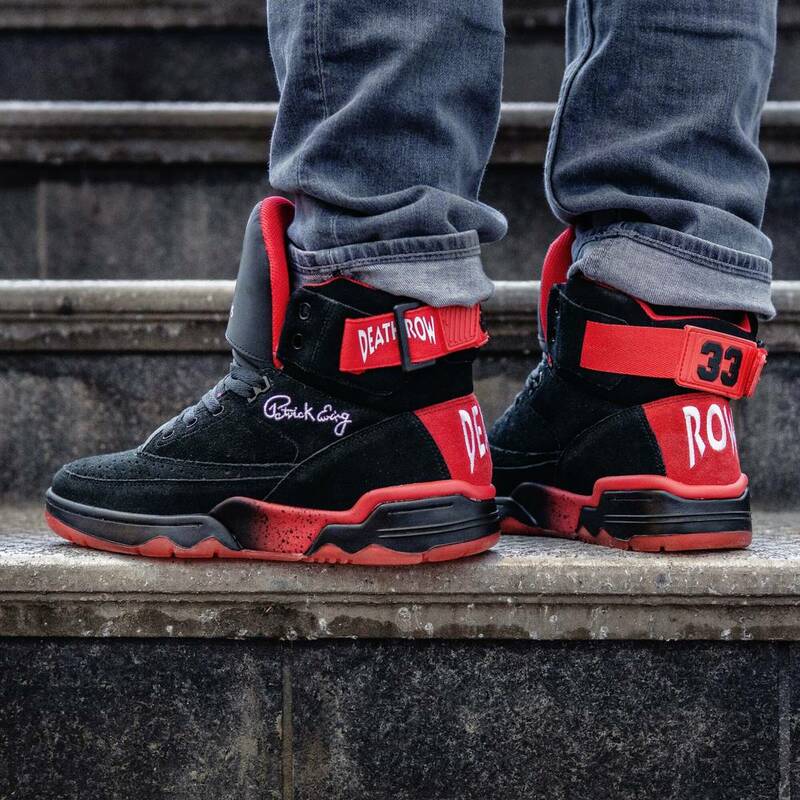 The collaborative kicks come dressed in a black, premium pig suede complete with red accents throughout and a Death Row Records logo on the sneaker's puffy, reflective tongue. 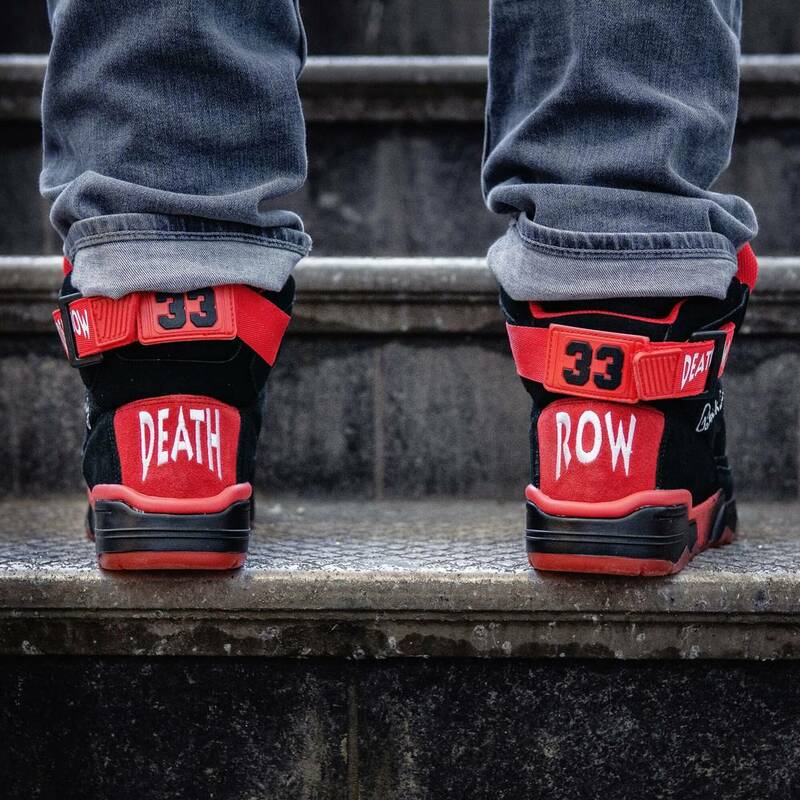 Additional details include "Death Row" detailing on the ankle strap and heel, and special Death Row packaging. 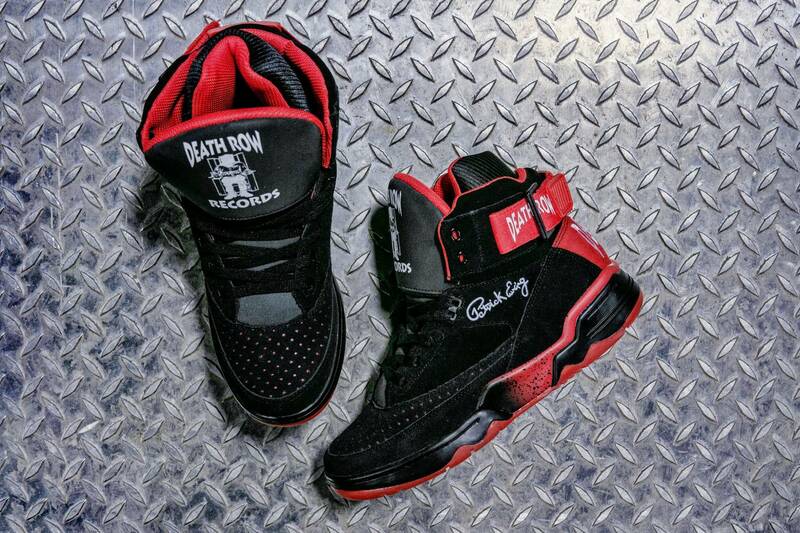 In addition to today's launch, the Death Row Records x Ewing 33 Hi will also be available in-store at BAIT Los Angeles on April 10. Check out some additional images below, and head over to EwingAthletics.com to cop a pair while supplies last.